We see good value in Wheelock that is trading at a deep 33% discount to its RNAV of S$2.74, despite its net cash position with S$448m in the coffers and no outstanding debt. It is a key beneficiary of the property sector turnaround and rotational interest, deriving over 80% of its value from Singapore. It offers a stable dividend yield of 3.3% supported by a strong recurring income stream from its investment properties. Resume coverage with a BUY and a target price of S$2.33. Deployment of S$2b in acquisition headroom will be a key re-rating catalyst. 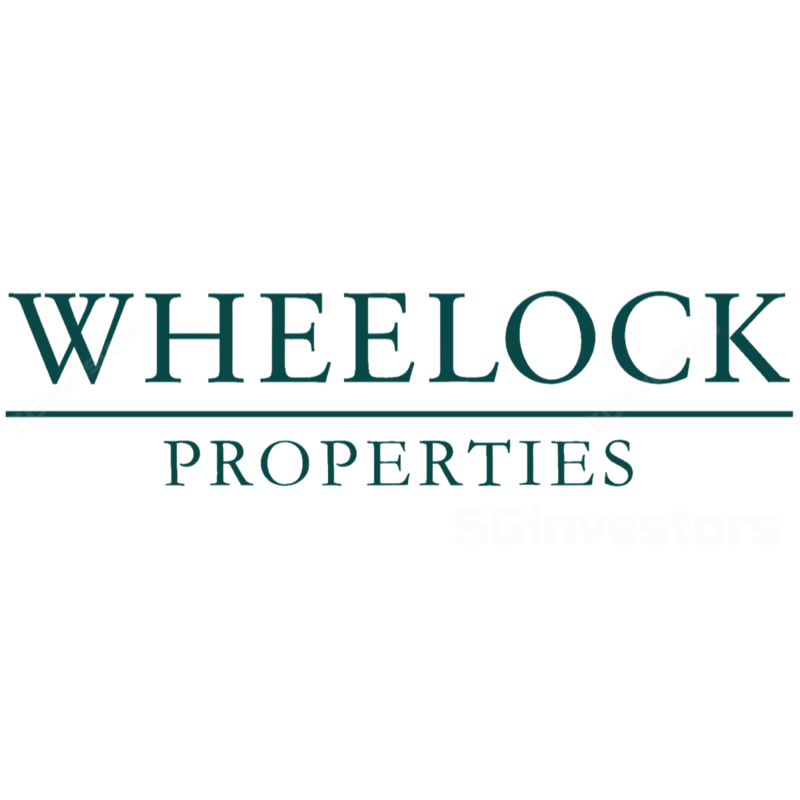 We met up with Wheelock Properties’ (Wheelock) management recently to get an update on its projects. Wheelock’s ytd share price performance (+24.7% ytd) lags its peers’ (+27.6%) and is significantly behind that of City Developments (+41.4%). (See Real Estate Sector Share Price Performance) We see good value in Wheelock that is trading at a deep 33% discount to its RNAV of S$2.74, despite S$447.7m in cash coffers and no outstanding debt. Deployment of S$2b in acquisition headroom. Wheelock is the only developer in a net cash position within our coverage with S$447.7m in cash coffers and no outstanding debt. This positions it well to deploy its sizeable acquisition headroom of S$2b (assuming comfortable net gearing level of 50%). Management noted that the stiff competition for sites has made it tough for acquisitions but they are on active lookout. Their focus remains on the high-end segment and a likely acquisition may come from an en bloc sale. Stable dividend yield supported by recurring income. We estimate that Wheelock Place and Scotts Square contribute over S$40m in pre-tax earnings annually for Wheelock, providing a stable recurring income stream from investment properties. We forecast a healthy 3.3% dividend yield, underpinned by its investment properties (accounting for 40-50% of its earnings). Beneficiary of property sector turnaround and rotational interest. Wheelock is well positioned to ride the property upturn as it derives over 80% of its value from Singapore. It is also a beneficiary of the expected privatisation of Global Logistics Properties which has led to strong interest from fund managers in developer names as it could replace the gap in their portfolios. Gains from joint development of Orchard Road properties. A key catalyst for Wheelock could come in the form of the joint development of Orchard Road properties with strategic partner HPL (22.6% effective stake). Wheelock and HPL could buy the URA carpark between Four Seasons Hotel and Wheelock Place and then redevelop the entire stretch spanning Forum, Hilton, Ming Arcade, HPL House, Four Seasons Hotel and URA Carpark into a mixed development maximising the Orchard road frontage and connected to Orchard MRT via Wheelock Place. Such a mega redevelopment holds potential for over S$1b in value accretion. The redevelopment of Wheelock Place is hinged on government plans for the URA carpark, with better visibility coming in around 2020 once the Thomson line comes closer to completion. As there are plans for the Orchard road stretch to become pedestrianised, management expects intensification for the URA carpark and a potential tender. Meanwhile, efforts are focused on lease management to optimise asset utilisation. Uplift from potential write-backs and revaluations. Wheelock undertook a S$110m write-down for the The Panaroma project and about a S$75m write-down for the Fuyang project. There could be some write-backs going forward for these projects. They have cumulatively booked S$96m in revaluation losses for Scotts Square, marking it down from S$313m (S$4,160 psf) in 2013 to S$216m (S$2,880 psf) in 2016 while reconfiguring the tenant mix amid a challenging retail environment. Wheelock Place has similarly been marked down to S$876m (S$2,704 psf) from S$915m in 2013. Given the tight cap rates seen at recent commercial transactions, we see room for potential revaluation gains in the upcoming year end results. Extension charge manageable post strong take-up. Ardmore Three is 85% sold after the discounts offered last year to move inventory. The worst case extension charge is a lot more manageable at S$7.2m compared to S$48m had there been no sales. For Scotts Square, extension charge does not apply. And the group has sold 100% of The Panorama project so the ABSD remission also does not apply. While privatisation may be a longer term event, any privatisation newsflow will see Wheelock as a target and hence lift share price. Wheelock and company own 75.8% of Wheelock Singapore making it a privatisation candidate. Wheelock is currently trading at a 33% discount to RNAV and if it falls to a 50-60% discount to RNAV, the Woo family is likely to seriously consider privatisation. Maintain BUY with a target price of S$2.33, pegged at a 15% discount to our RNAV of S$2.74/share. The discount is in line with the up-cycle average discount for Wheelock that is trading at a deep 33% discount to its RNAV.